“Shadows in Time” is out now on Oktaf Records/Kompakt. The generative composition is released as static CD version and in more than 300 variations on USB flash drives and vinyl pressings in a limited edition. Each USB stick contains a unique 60 minute 24bit .wav file recorded out of a composition of over 18.000 minutes. It is based on four variations of the same 20 seconds loop modulating on three different layers, which are running against each other on a basis of millisecond variations. This creates a constant variation, which will make the usb sticks a unique piece of art which only exists one time. The original version of the recordings will be deleted after placing on the sticks. The vinyl edition comes as a transparent onesided singlepressing with a length of 12 minutes. Generative music has long ceased to be unknown territory in composition. Ever since Steve Reich’s “It’s Gonna Rain” and Brian Eno’s “Music For Airports”, again and again musicians have used different techniques to create a music, which modulates on the basis of strict rules, is varying over and over and thus emerges from the very moment itself. Thereby, it is the great depth of a composer’s artistry to determine the possibilities – to define the fine line between stagnation and chaos, to sound the limits between monotony and cacophony. Following this tradition is also german ambient musician Martin Juhls aka Marsen Jules. For more than a decade, the sound poet has been reviving touching acoustic moments and condensing them to musical jewels. While doing so, he likes to compare his way of working with the approaches to abstract painting: The sound particles turn into timbres and tone colours that Jules arranges on the compositional canvas of time and space as quietly flowing snapshot. At times in wistful nostalgia, then again in revelling riot, sometimes in sublime serenity. "Ambiancé" by swedish filmmaker Anders Weberg will be the worlds longest film. The 720 hour long epos is going to be released in 2020. After a first teaser in 2014 Weberg now released a first trailer of with a length of 7 hours and 20 minutes on Vimeo. The trailer features an exclusive Soundtrack by Marsen Jules. 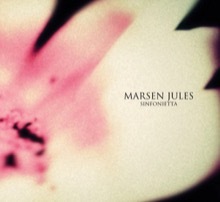 The whole discography of Marsen Jules is now available at Bandcamp: You can get the 18 releases as mp3 and flac for only 47,50 Euro and save 50%. ORDER THE COMPLETE DISCOGRAPHY DIRECTLY IN THE OKTAF BANDCAMP STORE. To order the full discography, click on any album and scroll down to the "Full Digital Discography". 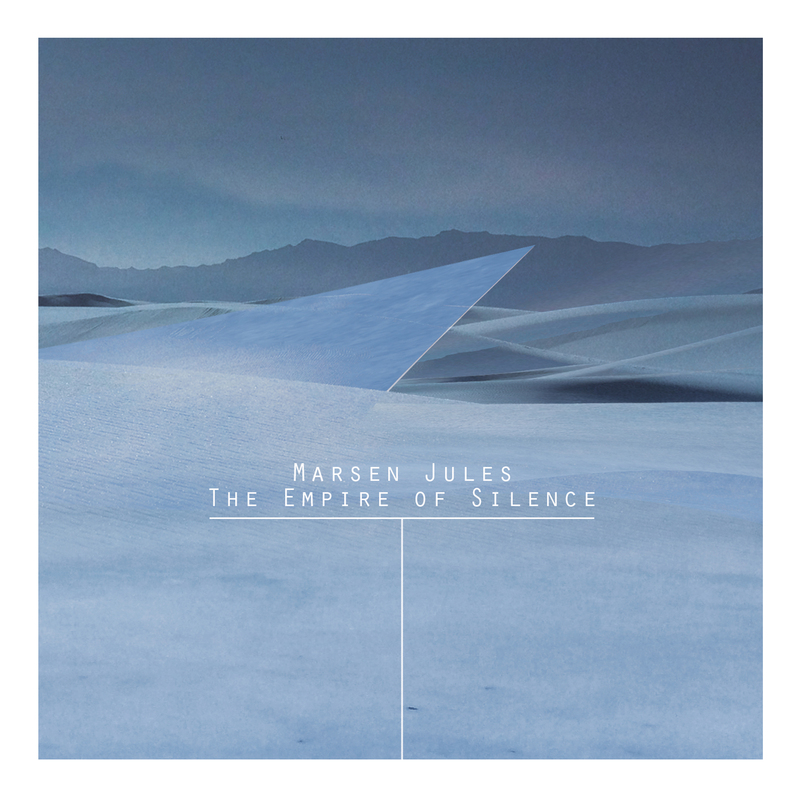 "Marsen Jules takes us to his “Empire of Silence“. An impressing soundtrack to the epic power and beauty of nordic snow and ice-landscapes. Thereby he sounds even more elegiac, warm and romantic as ever before. This might be a result of a strict reduction to bittersweet symphonic string-sounds. Sounds which Jules elapses like a prism on the timeline and lets them meander on slightly on the listeners eardrum. While others are still talking about “modern classic“, Jules is already moving on the particle-layer through the sound-continuum. Diving deeper into the sounds then ever before, he lets the frequencies mirror on the sound spectrum with an impressing precision." ORDER THIS CD FOR 15,-€ DIRECTLY IN THE OKTAF BANDCAMP STORE. In 2013 I released my generative composition "The Endless Change of Colour" through Taylor Deupree´s label 12k. Many people said it might be one of my best albums so far. But the recording of a generative music piece can only show an excerpt of the richness that happens, when many different layers of loops and soundmanipulation are moving against each other. A generative composition can be living thing. Something that changes over hours and brings up new musical moments all the time. Usually when I create this kind of music I listen to the set up for hours to explore all details that happen in the setting. That´s the reason why I decided to release a special extralong version with a total playtime of 24 hours. This is at least the longest piece of continuous music which was released so far and maybe the longest album ever released. But it´s also a proof for the uniqueness of every moment in a piece of generative art. The album comes on a full metal USB flash drive with laser imprint. The drive contains a 2GB MP3-file in 320kbps with a total length of 1.440 minutes. The stick is delivered in a magnet-box with silver imprint. All copies of the album will be hand-numbered. CD/DIGITAL NOW AVAILABLE AT DRONARIVM.BANDCAMP.COM. CD/DIGITAL STILL AVAILABLE AT WWW.OKTAF.COM. SOUNDTRACK FOR ANDERS WEBERG "AMBIANCÉ"
In 2020 my good friend and swedish filmmaker Anders Weberg will release the worlds longest film. "Ambiancé" will have an epic length of 720 hours. I will assist Anders with the soundtrack for this project. A first 72min teaser can be streamed until the 20th of July. The teaser gained over 200 000 plays and worldwide media attention during one week. Even the Hollywood Reporter wrote about this. MARSEN JULES & JOHN-DENNIS RENKEN - "FERNTROMPETEN"
Here comes a first preview of the new project "Ferntrompeten" bei Marsen Jules and trumpet Player John-Dennis Renken. BEAUTYFEAR ON BESTLIST FOR "PREIS DER DEUTSCHEN SCHALLPLATTENKRITIK + TOP TEN OF GERMAN CHILL OUT CHARTS"
What a pleasure. After te nomination of "Beautyfear" for the bestlist for „Preis der deutschen Schallplattenkritik“, an independent award selected by german music journalists, in the category „Nu & Extrem“ the album was also featured in the top ten of German Chill Out Charts (DCOC) for over 5 months.